Set on Malta and written partly as a homage to the beat generation writers, The Death of Poetry is a taut psychological exploration of relationships and situations that entwine the characters we observe through the narration. Opening with a seemingly unsuspicious death at a facility for 'the unhinged', our island detective at first feels it is just a circumstantial accident; after all, many inside are damaged and alone, having dealt with their addictions and afflictions. 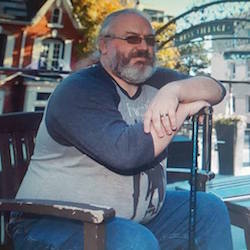 It is when a fresh victim appears, most definitely murdered, that he begins to unravel the fragile links and faint memories of those he now must confront from his own past - one he may not have wanted to remember for himself. I may well be the only publisher who asks authors to NOT send a synopsis. I don't mean the short synopsis that forms part of the back-cover blurb - what Amazon, Smashwords and other vendors call the 'description'. I'm talking about the full precis of the story, spoilers, conclusion and all. I'm not suggesting authors should ditch the synopsis entirely. If you're submitting your work to an agent/big publisher, they'll likely require a synopsis, and writing one can be a helpful part of the self-editing process, i.e. before your work is seen by anyone else. It can give you a sense of how the plot hangs together and may even highlight holes and discrepancies. Synopses do nothing for me. In my experience, most authors can put together an impressive pitch for their story. It's what we've been told is crucial to securing that great publishing deal with advances and all that jazz. But it gives no indication of how the author tells their story. I want to experience the story as the reader will. Does it grip me from the start? Do I want to read on? Does the prose transport me to another place? Of course, I'm in the privileged position of publishing for the love of books, not for money. If I love a book, I want to publish it, and there is nothing that can kill my enjoyment of a good book faster than spoilers, which a full synopsis necessarily contains. And so to Ian D. Hall's debut novel, The Death of Poetry. A full synopsis (Ian might have sent me one, I don't recall because I didn't read it) would have laid out all the connections that unfold as this novel progresses, and what we'd get is a neat, linear investigation beginning with a death in a psychiatric hospital and ending with the detective solving the case, which would have been nothing like a real police investigation, and also not at all how it works in The Death of Poetry. The connections are intricate, fragile, overlaying each other, breaking apart, weaving together. Is it obvious who the killer is? I have no idea. This is a novel that is less about actions than intentions, and these are revealed to the reader as they are to the detective, but, like the individual strokes of a painter's brush, we only have the vaguest notion of what the finished picture looks like. Standing back to admire that picture...I was truly wowed. Ian D. Hall is a clever, clever author, and I'm hopeful he'll take his hand to mystery-writing again, although in truth, he had me hooked from 'partly as a homage to the beat generation writers'. 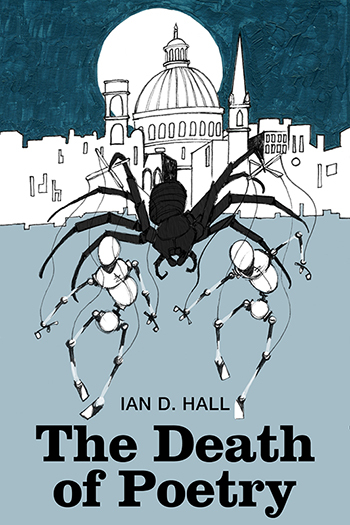 The Death of Poetry is a murder mystery novel by Ian D. Hall, available in ebook and paperback editions from Beaten Track and the usual places.